Quality products at discount prices–we take your health and your budget to heart! With regular product demos, special events like our Wellness Wednesdays, and a dedication to getting you the right product the first time, we don’t just have “always taking your health and your budget to heart” as our motto. Our motto is the only way we do business. In August, 2014, we were proud to open our second location on 1960 RD W, at Fallbrook Drive near 290 & North Eldridge. 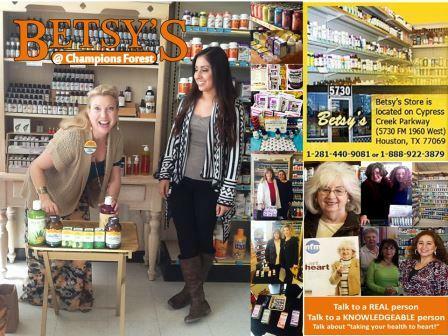 Whether you have been a loyal Betsy’s customer for years, or are new to the Betsy’s difference when it comes to shopping for nutritional supplements, we pledge to make sure your experience at either of our locations is just the same. 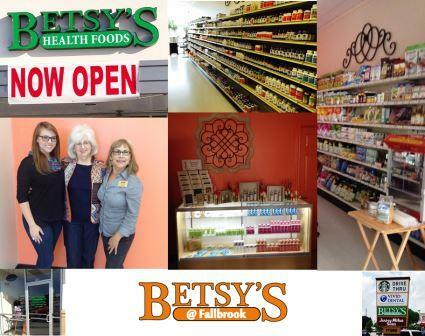 So, expect to find the same great prices on quality products, educated staff, and service that puts you first at our newest location as you’ve come to expect any time you visit Betsy’s. 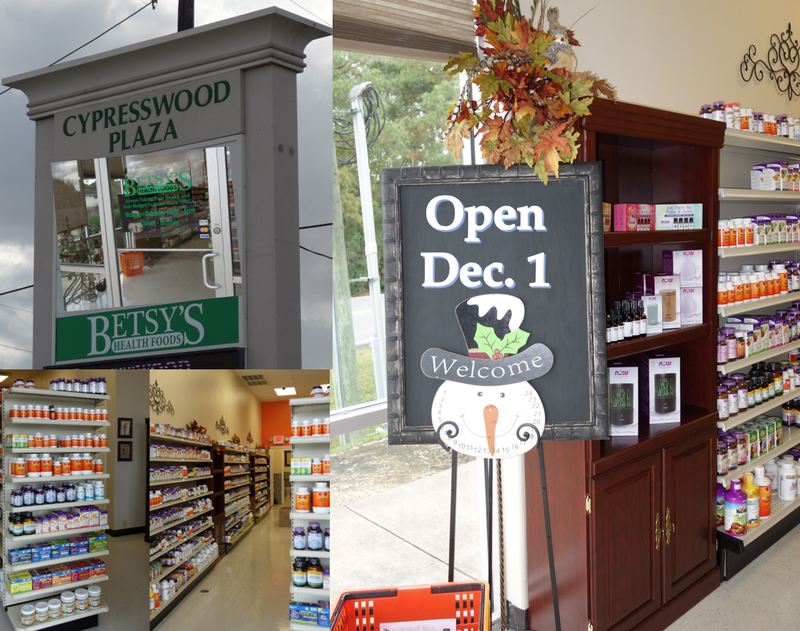 Betsy’s 2nd location at Fallbrook Drive and 1960 opened in August, 2014. Our third location opened December 1, 2016, at Cypresswood Drive near I-45! We look forward to serving new neighborhoods and helping even more Houstonians reach their healthy living goals. Visit our third location at 250 Cypresswood Drive today!